Today we are back in Singapore because tomorrow we need to catch an early flight to Bali, hahaha. 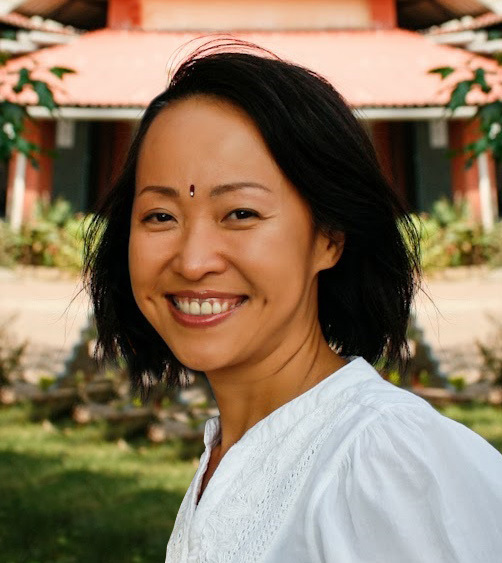 We speak with SunUp Yoga Director Elaine Vajira who exudes the essence of yoga: the joyful and mindful living spirit. the joyful and mindful living spirit. EV: I had an unexplainanable inner urge to practice meditation. Nobody within my circle of family and friends had ever mentioned this topic before to me, nor are they familiar with this subject matter. I had to embark on my own journey of searching for gurus to learn the technique and also to clarify my doubts in life. I started my search within my island country of Singapore where I was born and raised. The search continued and brought me deep into the forest and also meditation centres across Myanmar, Thailand and Malaysia. In my longest retreat, I meditated for 3 months and observed noble silence, ie, no talking nor communicating through any of the 6 senses with anyone during those 3 months. EV: I was a Chartered Accountant (CA), in some countries they are known as Certified Public Accountants (CPA). I rose through the ranks and sat on the senior management team for Global Multi-National Corporations (MNCs). 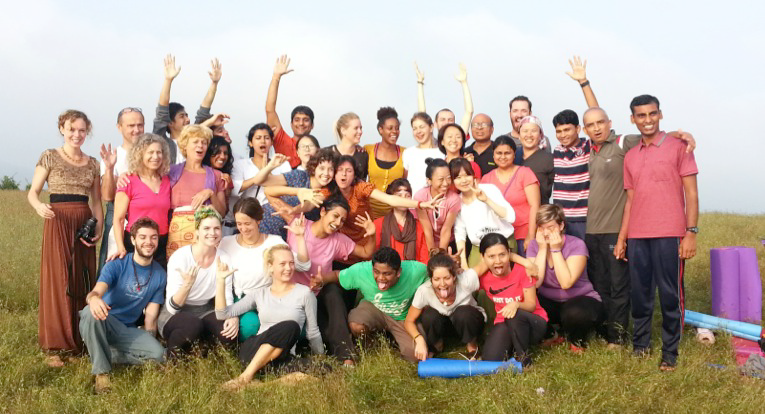 EV: My yoga training was completed at 2 main places – sVYASA Yoga University founded in Bangalore, and I went on for an additional Diploma in Yoga Education, and a Diploma in Yoga Therapy Training courses at Yoga Vidya Gurukul based in Maharastra, India. Owing to my passion for natural healing therapy, I also spent some time getting firsthand experience on yoga therapy treatment during my stay with 2 famous in-house Yoga and Naturopathy Centers in India. For my passion with meditation, I have been practicing according to the Vipassana Meditation lineage for the last 10 years. DDoA: What were the challenges that you encountered when you made the career change? EV: It was the typical material world mindset – refusal to let go of a corporate career that I had built up painstakingly for years. I struggled between this corporate role and my realization of how powerful a person’s self-healing capacity is. My desire to spread the message and teach the know-how of self-care and joyful living, and my own desire to lead a healthy lifestyle is so strong that eventually, the pull factors outweigh everything else. DDoA: What advice can you give yoga practitioners who want to train to teach yoga or run their own yoga studio? EV: Find their niche in yoga. This search will take time, likely years, and it evolves as one progresses through life. Therefore if the situation permits, do not rush into yoga teaching as a profession immediately. For yoga teacher wannabes, your inner self and your life experience will guide you towards your niche. Take my case as an example. My passion is mindfulness yoga where the foundation is built on 15 years of my meditation journey. I obviously had to go through periods of trial and error. Even a good master/guru cannot help you to avoid the mistakes but he could point them out to you. Ultimately, it is up to one to apply wisdom and put in effort in order to get back on track. My other passion is yoga therapy which arises out of years of researching natural health therapies. These 2 areas are what my yoga teaching focuses on. DDoA: How has yoga changed you? 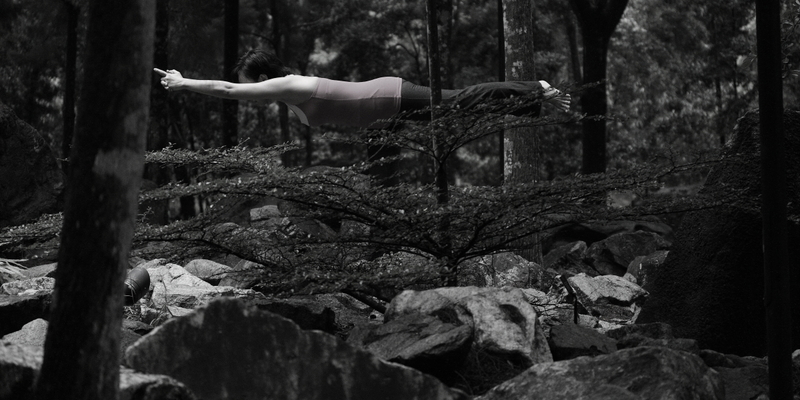 EV: There is an obvious difference in my physical freedom and mental agility after every round of yoga practice. The benefits are alluring and no persuasion is needed for me to return to my mat. Through yoga one realizes the meaning of The Truth within one’s own body – when one embraces life with an equanimous mind, the fountain of joy starts to flow and the body reflects the inner self’s wellbeing. DDoA: Please share some information on the nature and location of your YOGA teaching practice. 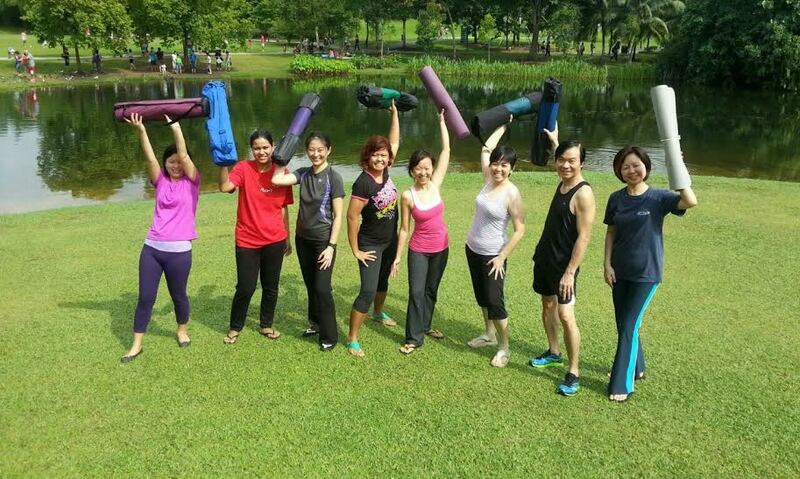 EV: I teach public classes in Singapore Botanic Gardens. There is an obvious reason why this location is chosen. 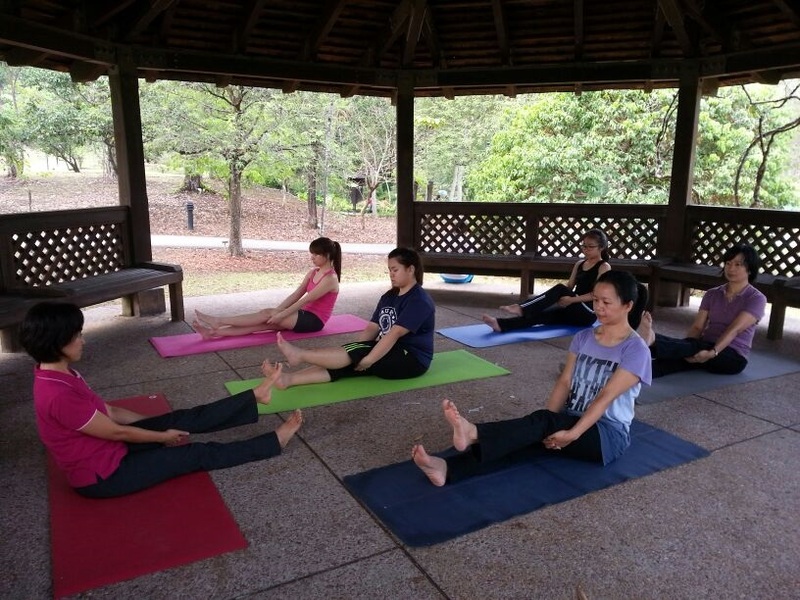 Yoga in Botanic Gardens combines both the best practice and location to release the toxins accumulated in the body, and to absorb the positive energy from the universe. We are fortunate to reside in Singapore, which has beautiful, clean and safe parks/gardens for this purpose. At other times, I visit the students’ home to conduct private group or private 1-on-1 yoga classes. It is typically out of need to suit their health situation or the lack of time which is a common issue with cosmopolitan dwellers. I also conduct yoga lessons at yoga studios, where I find that there is a match between mine and the studio’s yoga philosophies, that yoga is non-competitive, and it is to be done at an enjoyable level. EV: The first thing I do when wake up is practice my own yoga. It could be an intensive personal training lasting for 2 hours, or a syllabus that I am going to teach in my class for that day. On selected mornings when I do not teach, I perform yoga cleansing to clear my internal organs of physical and mental toxins that everyone of us absorb through air and food pollution. The effect of yoga cleansing is very profound and it leaves me with a light & firm mind and strong body. Then I feed my 3 lovely cats who are the dears of my life and also make a light breakfast for myself. After that, I leave the house to teach either my public group or private class, by then I am in a good shape to help my students to revitalize and embrace the day. 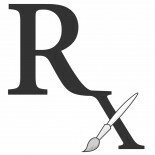 After class, I will find a quiet place to have an early lunch and answer inquiries regarding new classes or help existing students over the phone, do my personal health-related readings or plan future class syllabus. In the early afternoon, I will travel to the next student’s home or office to conduct a private lesson. Then I make my way home for a shower and practice yoga nidra, a form of subconscious mind and body relaxation with the objective of tuning the mind to absorb and activate positive life messages. I also adopt and customize this technique for my yoga therapy students. I also cook my own organic vegan dinner facing the beautiful sunset. I can strongly feel the sense of bliss in this daily life event and enjoy the simplicity and serenity in life. Before I eat my dinner, my furbabies will be sure to remind me that they are to be served first! Then I am off to teach a night class in a yoga club or my own private group of students usually in a neighborhood setting. I will then return home for meditation before my sleep. Once a week, I also meet with my yoga teacher buddies and we take turns to lead the practice, followed by exchanges of what happened in our lives. I enjoy the bonding and peer support. EV: Awareness opens the door to growth. DDoA: How in your opinion can YOGA change people? EV: For many people, it is difficult for them to study their own mind for various reasons. Yet self-awareness is the first step if a person wants to heal and grow their life on a physical, mental or emotional aspect. Yoga offers an excellent opportunity, particularly Mindfulness Yoga, to quieten their mind through postures. The mind and body strengthened each other retrospectively. Through yoga one can surpass the limitations of life and attain greater skills and efficiency in action. One opens the door to a pool of unlimited creativity and positivity in life. 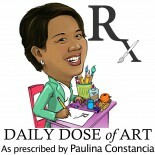 This entry was posted on October 17, 2014 by Paulina Constancia in Care, Teach and tagged healthy living.